This one is also when I was working with Agoda. 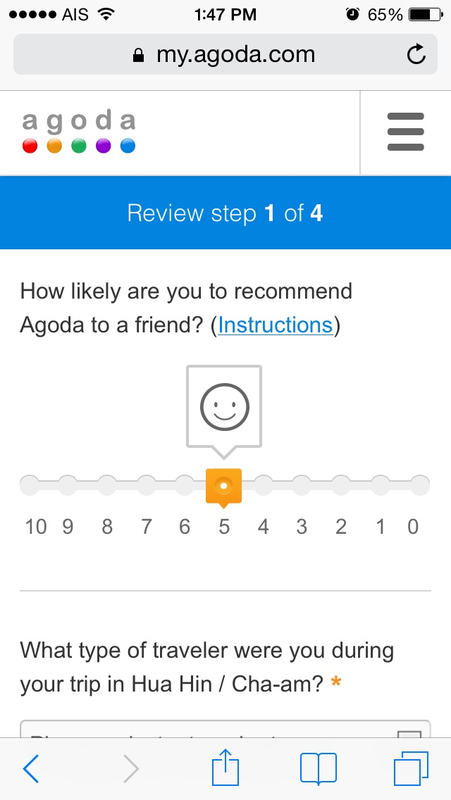 The purpose of this review page is to increase the customer response rate after they checked out from the hotel to gather information about when their feedback of their accommodation. Because of the rising trend of mobile usage. Especially at that time, the number of mobile users has increased dramatically. 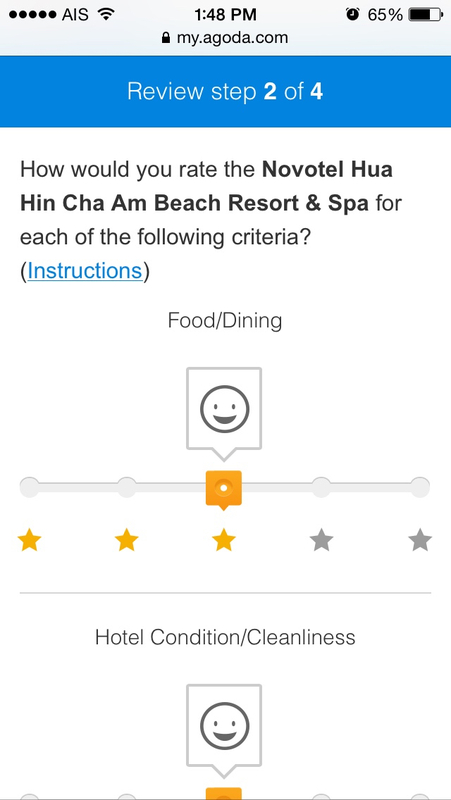 Use can rate and give stars to each dimension of hotel services. Then we can gather this valuable information and help the next visitors make their decision more easier.